Kinston, North Carolina has had a long and storied past. Now Kinston is undergoing a modern day renaissance. There are historical sites all over town, reminding you over the more than 250 years of history in the area. Down the street from The O’Neil you can visit the CSS Neuse, a replica of the Civil War era steam-powered ironclad ship of the same name. The Neuse is the only full-scale replica of a Confederate Ironclad in the world. Once you’ve gotten your fill of the vibrant history of our small town, you can see our rebirth first-hand at some of Kinston’s restaurants. Kinston is home to a dynamic brewing and distilling scene. 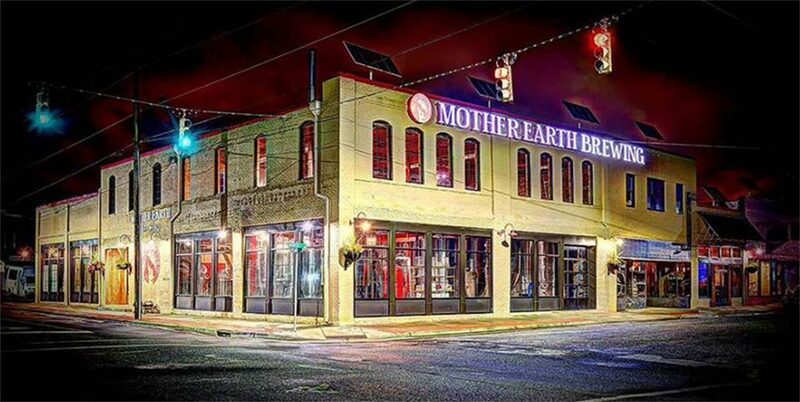 Mother Earth Brewing was founded in Kinston in 2008 by Stephen Hill and Trent Mooring. Their energy efficient brewery is one of the most progressive in the world. In addition to their mindful stewardship of the environment, Mother Earth Brewing brews fine beer, from the mellow and easy-drinking Weeping Willow Wit all the way to the other end of the spectrum with their rich bourbon barrel-aged Silent Night Imperial Stout. Also owned by Stephen Hill is Mother Earth Spirits. Making small-batch Gin, Whiskey, and Rum, Mother Earth Spirits focuses on quality over quantity. Each batch of whiskey is crafted by hand, and aged in Charred White American Oak barrels long enough to evoke notes of caramel, fresh leather and toasted oak. Their Gin balances juniper with other botanicals like coriander, anise, and cardamom, with a resulting smoothness perfect for sipping or in your favorite cocktail. Like their brewery cousins at Mother Earth Brewing, the distillery is located in a LEED certified building. The distillers harness the energy from the sun to heat their water and use environmentally-conscious materials to insulate their space. Together with The O’Neil owner Stephen Hill, Vivian Howard & Benjamin Knight have teamed up to open The Boiler Room Oyster Bar. The Boiler Room serves fresh North Carolina oysters, juicy burgers made with local beef, hand-crafted cocktails and local craft beers in a funky space with high ceilings and good service. Chef & The Farmer offers unique fare with an emphasis on locally produced ingredients. They pair Southern favorites with cutting-edge techniques you would find in the finest Manhattan restaurants. Their menu changes weekly and they serve top-notch hand-crafted cocktails. Chef & The Farmer is featured on the PBS documentary series A Chef’s Life, now in its second season. Vivian is also a James Beard Foundation 2015 Restaurant and Chef Award Semifinalist in the Best Chef: Southeast category. More restaurants, bars, and cultural spots are opening in Kinston all the time. We’re sure that as you return to our small town in Lenoir County, you’ll find new establishments to explore during your time here.